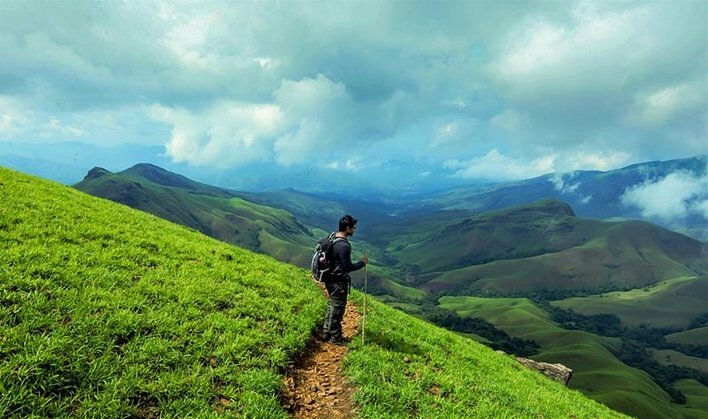 Kudremukh trek is any adventure buffs dream. Here is everything you should know about Kudremukh trek – the trail, about the peak and nearby sightseeing. Kudremukh, a small village of Karnataka, lies in the Chikmagalur district. It is home to some of the best coffee plantations, owing to its fine variety of soil conducive to coffee growth. 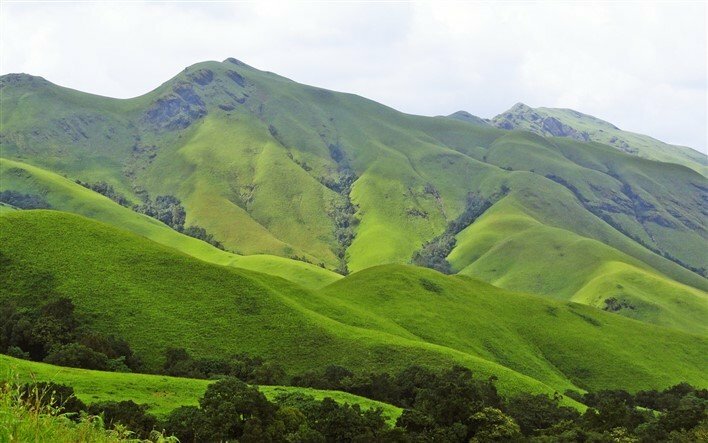 Kudremukh literally means horse face, as a particular side of the mountain looks like the face of a horse. The peak is about 1,894 metres above sea level. The trekking trails here thus boast of changing sceneries and enthralling views. Streams, bamboo shrubs, waterfalls and lush vegetation are some of the key characteristics of the trek. The experience you have during the trail is bound to last a lifetime. Imagine trekking along and above the clouds. That’s a sight to behold! It is the third highest peak in Karnataka. Thus, it bound to be slightly challenging. The trek unfurls lush green landscapes and beautiful meadows all along. You will cross nearly a dozen streams. 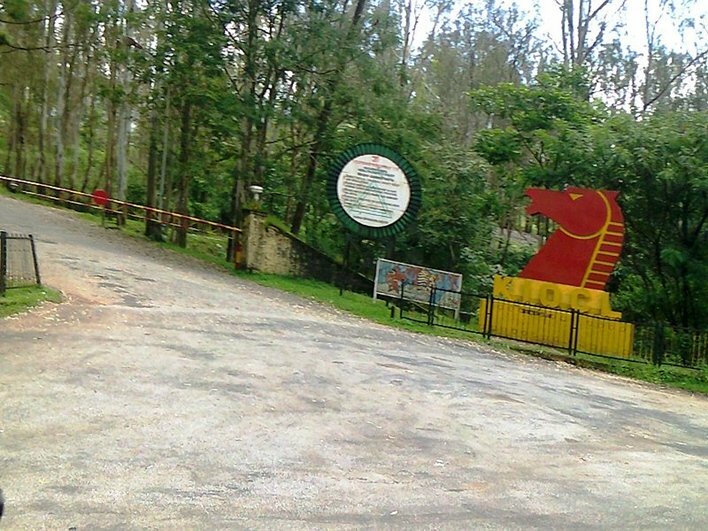 Kudremukh National Park serves as the base camp. The trek begins on taking a jeep from Balegal to Mullodi. As you tread forward on foot, you begin to move towards the forest area where you are greeted by many streams. Upon reaching Lobo House, a famous landmark, the trail will ascend towards the peak. You will cross rainforests, waterfalls and head uphill to finally reach the Kudremukh Waterfall. Camping is not allowed at the peak as it is a reserved forest. Make sure you book the base camp in advance and take all the necessary forest permissions. National Park: you must take a slight detour to look around the National Park. This wildlife reserve, believed to be the second largest in the state, encompasses the beautiful Somavati River with the purest water you could think of. Kudremukh Waterfalls: These are the most refreshing waterfalls to encounter after a tiring hike. Soaring at maximum speed, they can be heard from a distance, as you trek upwards. Coffee farms: Coffee plantations are the key feature of Chikmagalur. You are bound to catch a good glimpse of them while trekking in this region and have a cup of freshly brewed coffee. Animal encounter: Whether you spot any major animal or not, you are sure to see deer and crabs along the way. There might be a lot of leeches. To prevent this, you can put some salt or snuff powder into your socks. Mangalore Airport is the closest one to Kudremukh. It is approximately 195 kilometres away. The next closest one is Kempegowda International Airport, which is about 290 kilometres away. If you want to board a train instead, head to the closest railway stations, which in this case, would be Mangalore Railway Station and Bangalore Railway Station. Board the bus from the nearest bus station. Buses ply from Mangalore, Bangalore, Kalasa and Horanadu to Kudremukh at regular intervals. So, what are you waiting for? 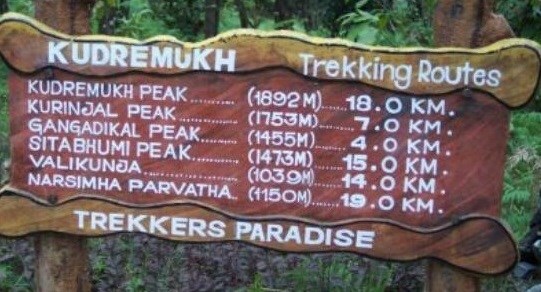 Pack your trekking gear and head to Kudremukh. Enjoy the fun called Kudremukh trek.